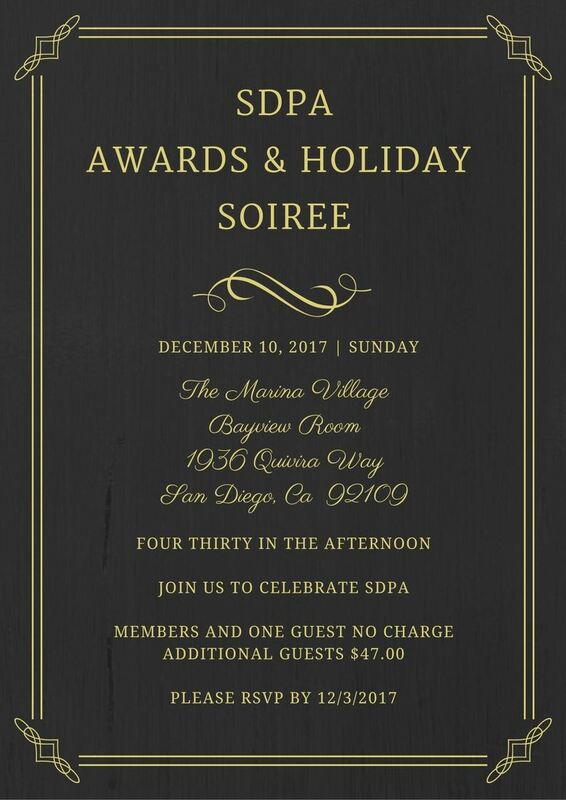 San Diego Psychological Association - SDPA Awards & Holiday Soiree! SDPA Awards & Holiday Soiree! Member and First Guest are Free. Additional Guests are $47. We look forward to welcoming you at the SDPA Awards & Holiday Soiree! Celebrate the successes of our 2017 Board and Committee Chairs. Please join us! Members only with their guests! Space Limited! PLEASE RSVP BY 12/3/17! RSVPS ARE NOW CLOSED!